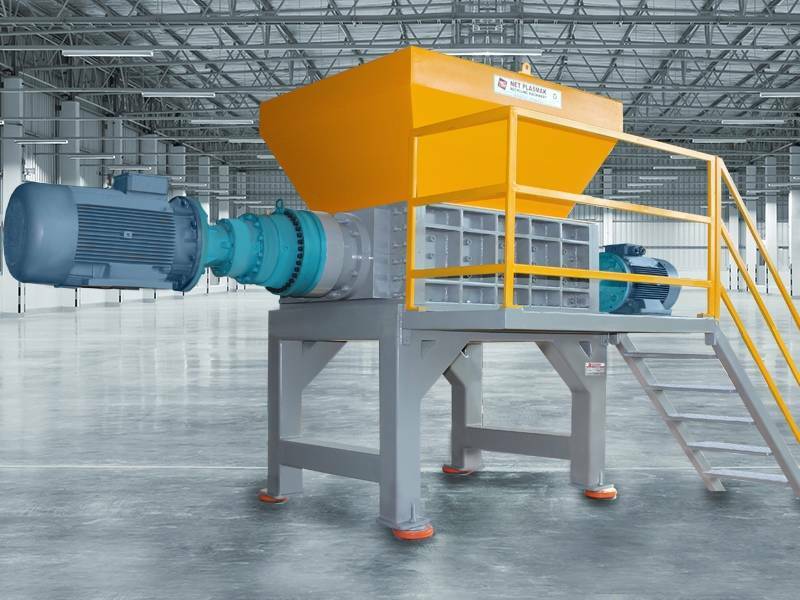 Double-shaft shredders are built to process many different kinds of waste streams in large volumes. Geometry of the shredder blades can be customized depending on material to be shredded. Two counter rotating shafts with special design blades and spacer combs placed between blades and attached to shredding chamber walls cut material into pieces with great force. Blade hooks creates scissors action on any kind of hard to process materials. Heavy duty structure of the double shaft shredders and their exclusive cutting system allow these machines to cope with the processing of waste which is harder to manage such as, oversized waste or cut resistant waste. In case of a jamming, blades counter rotate in order to eliminate blockage. The process is automatically controlled by a PLC system which can be programmed through the touch screen display.